United Airlines, preparing to return flights into Auckland, says that its product and service has changed for good. The airline is the world's biggest by the size of its network and will start flying from San Francisco to Auckland from July 1, in partnership with Air New Zealand. The service will be three times a week initially and increase to daily from October using a Boeing 787 Dreamliner. Julie Reid, director for Australia and New Zealand sales, said the airline was a "new United." In the past, United along with other US carriers had been slow to upgrade planes and products and some crew had a reputation for being grumpy. Reid said her airline was undergoing a transformation. "The perception is incorrect. The people who have travelled with us recently say "wow'," she said. Although United had trailed in a recent American survey of passenger satisfaction of other US carriers - which have nearly all made substantial investment in aircraft and products since the global financial crisis - she said internal surveys of passengers who flew to Australia showed month on month improvement over the last two years. "I think some of it's a perception issue rather than reality," she said. Two and half years ago United's Boeing 747s to Australia had no entertainment or drinks for economy passengers. Dreamliners on the route had reinstated these features for economy class, all passengers were offered wi-fi access across the Pacific and the business class had full lie flat beds. The partnership with Air New Zealand allowed United to be competitive on the route it flew between 1986 and 2003 and Reid said her airline was here for the long haul. "It's the right partnership at the right time. Auckland was on the table before oil prices dropped as low as they have and we're not going to come back to city and chop and change our mind in the next six months. We've done our investment. Fuel has helped but I don't think it's a decider for Auckland." 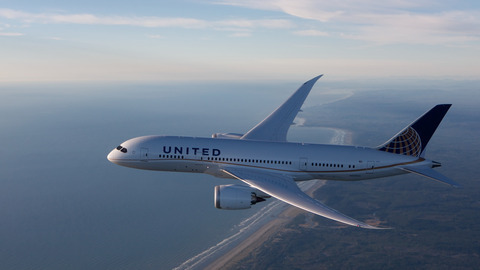 United and Air New Zealand were in a revenue sharing agreement where they align on fares, jointly market and sell the route and have reciprocal lounge and frequent flyer schemes. A key feature of the arrangement was access for New Zealand passengers to United's extensive domestic and regional network. Auckland was on the table before oil prices dropped as low as they have and we're not going to come back to city and chop and change our mind in the next six months. United Airlines and United Express operate an average of nearly 5000 flights a day to 342 airports across six continents. She said there were no plans to launch the United service to Auckland with slashed fares but they would be ``good value''. "I think when people see fares under $1000 (return) they see a good deal." Rival carrier American Airlines begins Los Angeles-Auckland services later this month in partnership with Qantas and launched that service with some $799 fares.